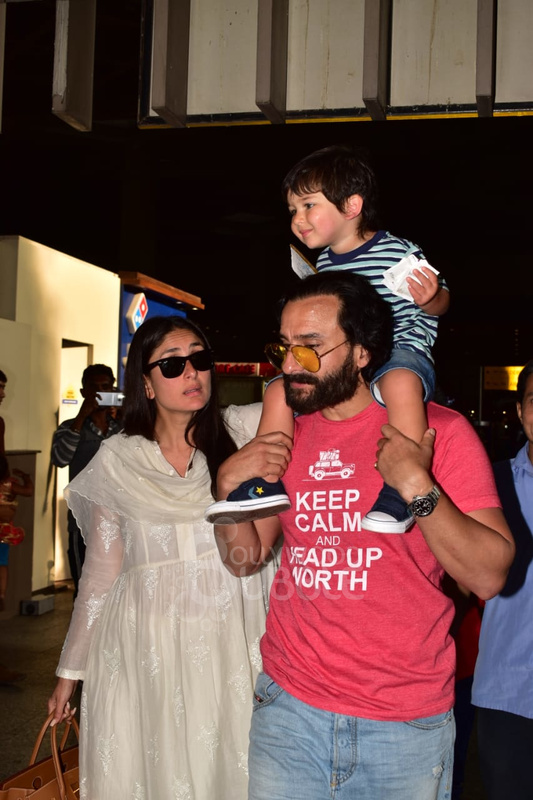 After a mini vacation, Saif and Kareena (along with their munchkin Taimur) have returned to Mumbai today. The little one seems to be in a happy mood as he is seen piggy riding on his dad's shoulders. 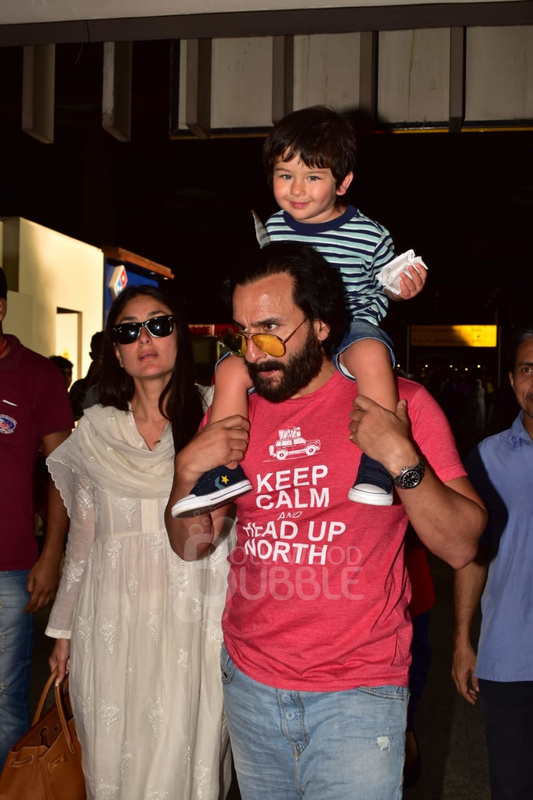 Saif and Kareena always make sure to give enough time to Taimur. 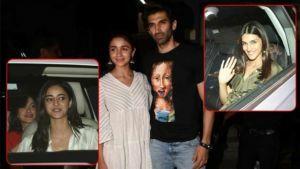 They quite often take offs from their busy schedules to spend quality time with each other. 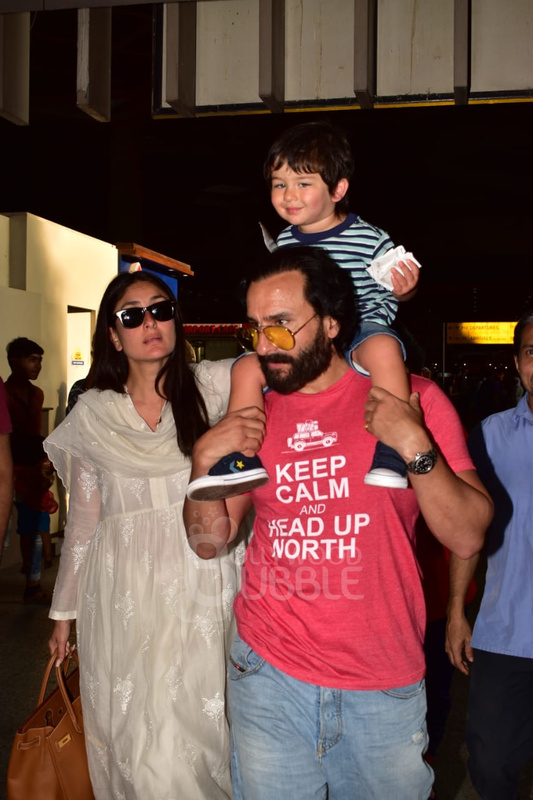 Kareena was seen in a white suit while Saif was in a pink tee which he paired with blue denims. 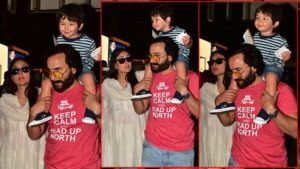 Taimur was in a stripped T-shirt, a pair of blue denim shorts and a pair of blue and white shoes. 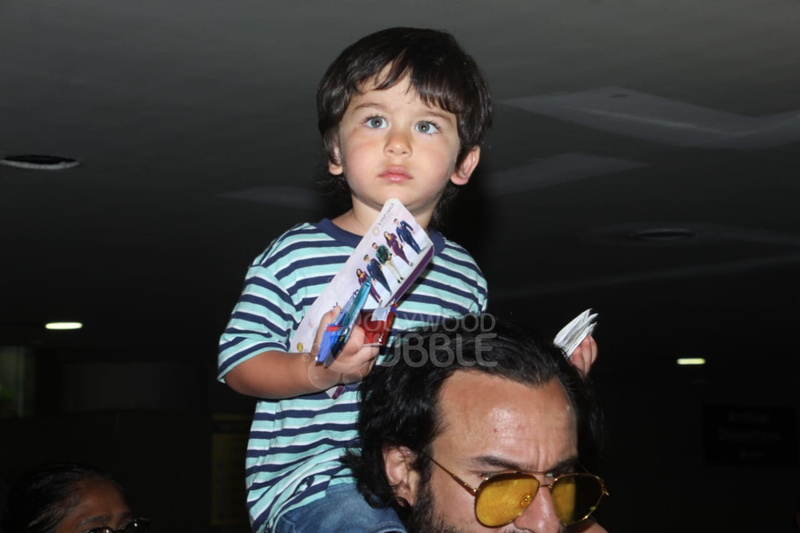 Look at his eyes. So angelic, aren't they?